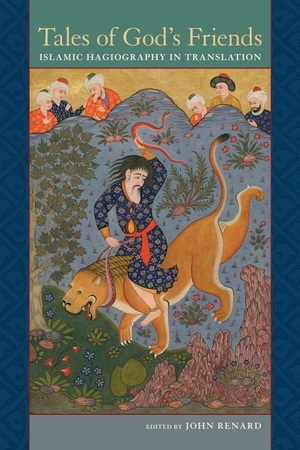 This remarkable collection gathers a breathtakingly diverse selection of primary texts from the vast repertoire of Islamic stories about holy men and women—also known as Friends of God—who were exemplary for their piety, intimacy with God, and service to their fellow human beings. Translated from seventeen languages by more than two dozen scholars of Islamic studies, these texts come from the Middle East, North and sub-Saharan Africa, Central and South Asia, and China and Southeast Asia. Historically, they begin with the eighth century and include samples from medieval, early modern, and modern Muslim societies. Expertly edited and introduced by John Renard, Tales of God's Friends serves as a companion volume to Renard's Friends of God: Islamic Images of Piety, Commitment, and Servanthood. John Renard is Professor of Theological Studies at Saint Louis University. His many books include Seven Doors to Islam: Spirituality and the Religious Life of Muslims, Windows on the House of Islam, and Friends of God: Islamic Images of Piety, Commitment, and Servanthood, all from UC Press.